The Dambusters were the go-to forces for dangerous precision attacks: They bombed Hitler's prize battleship, Tirpitz, as well as rocket sites, weapon strongholds, and the dams at the heart of the industrial Ruhr; they targeted enemy leaders including Hitler and Mussolini; and they created a false fleet on D-Day, which fooled the Germans. But they also suffered brutal losses, with 75 percent of 617 Squadron killed in action by the end of the war. In this awe-inspiring book, John Nichol, himself a former RAF flight lieutenant, retraces the path of 617 Squadron's most dangerous sorties, the ones largely lost to history. 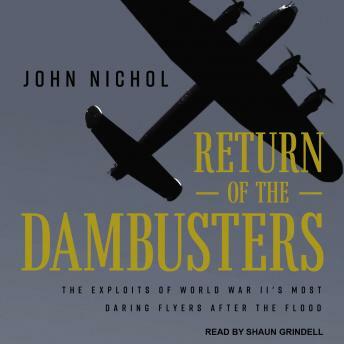 Including personal stories of the surviving Dambusters, Return of the Dambusters is a tense, poignant story of courage by men who braved death in the name of freedom.